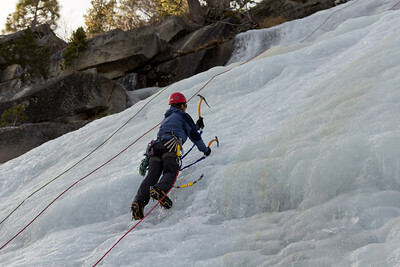 Synopsis: Since climbing the Northwest Ridge of Four Gables with Jon in January, I have not posted any trip reports as it has been a non-eventful winter in Tahoe. That is not to say I did not get any skiing in – in fact, I got a handful of great powder days in. However, all of the days I did ski were entirely spent at Alpine Meadows or Squaw Valley. I just never seemed to time it properly for any backcountry touring as the snowpack was either (i) non-existent or (ii) dangerous due to the persistent weak layer we had all winter. Meanwhile, the weather in the Bay Area all “winter” was nothing short of spectacular, and I mostly hung around and did a TON of road biking in the Coast Mountains (and have generally been training for a couple of triathlons this upcoming summer and fall). 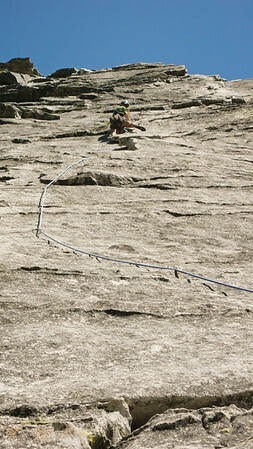 The great thing about the lack of snowpack this Spring will be the climbing access it affords. As of this writing, both Tioga Pass and Sonora Pass are open to the Eastside and many High Sierra climbs will have very quick approaches that are otherwise inaccessible without skis/snowshoes for much later in the season. Further, I suspect the alpine ice season this year is going to be nothing short of phenomenal. Synopsis: Fortunately (or unfortunately, depending on how you view it) one of the joys of ski touring is dealing with variable conditions. After amazing corn skiing in Carson Pass Last Sunday, the warm cycle continued for most of the week leading up to a pretty strong re-freeze Wednesday night. A small low-pressure system then moved in, dropping 3-6 inches of fresh snow along the upper elevations of the Sierra Crest on Thursday and Friday. Yes, that is one of the few times this winter we are talking 3-6 inches rather than 3-6 feet. While we headed out on Saturday to ski steep lines in a bit of powder, what we found was steep lines in quintessential “dust on crust” conditions. While the ski conditions were essentially nothing to write home about, we still had a great day both days. Pictures to follow. 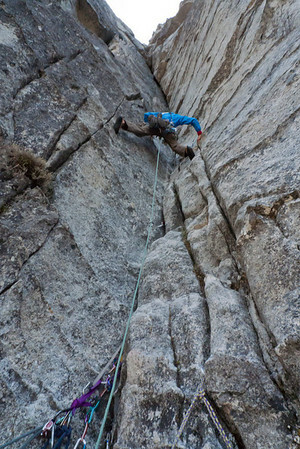 Note that this TR is several pages long, with the Cross Couloir on Page 1 and Angora Peak on Page 2.